i102 Deviation of the Line of the Solar Vortex. A, A, road of travel [from right to left (see the arrow for circuit 1 in image i099 (with text) Serpent's Orbit) --ed.] 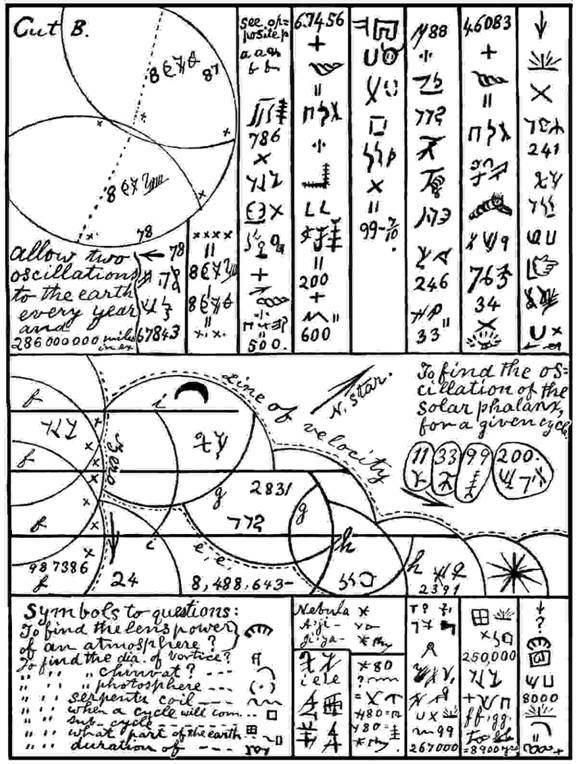 of the vortex Tow'sang, or solar family of the Great Serpent. B, B, deviation (of the vortex) from a straight line. 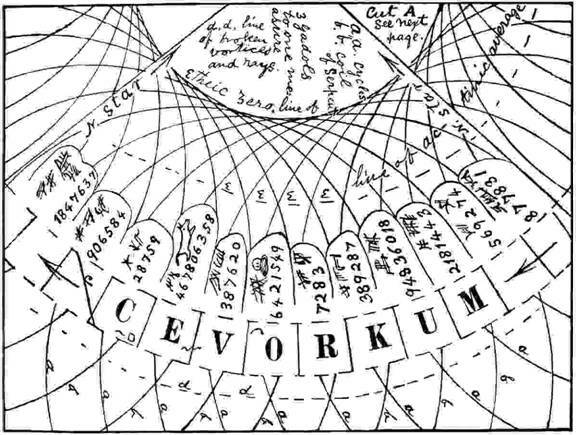 C, C, C, C, vortices of other symptoms of worlds. D, D, D, D, dan, dan, dan, dan; that is, from D to D is three thousand years. 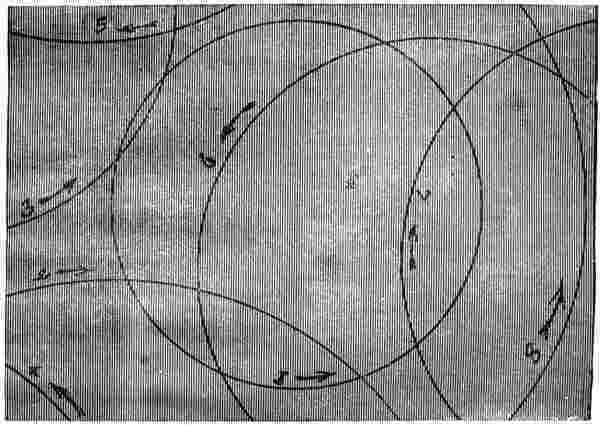 The open space in the curve B, B, near the center of the plate, indicates the place of the Serpent in this day [i.e., at about 32 A.K. --ed. ].